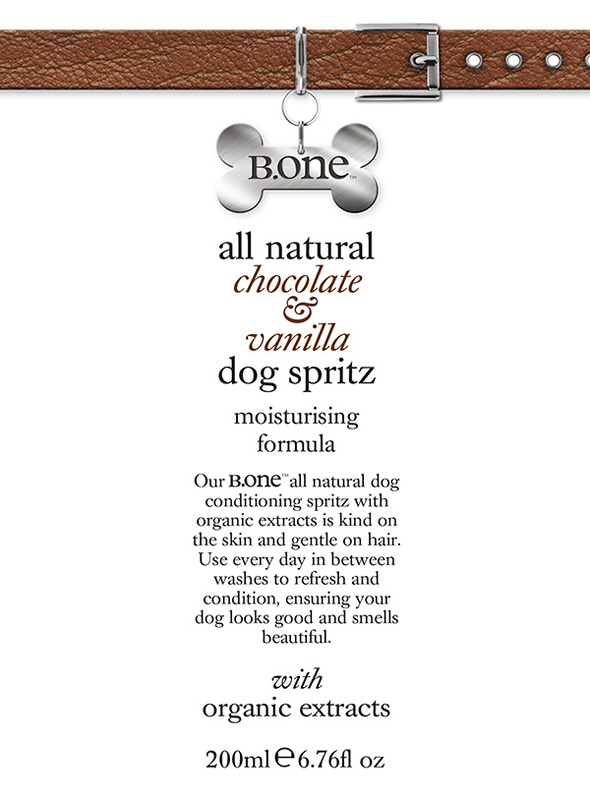 Our all natural chocolate & vanilla spritz spray is used to refresh and condition coats leaving them smooth and silky with the delicious rich scent of chocolate & vanilla. Features beneficial organic cocoa which is rich in protective, antioxidant flavonoids and wheat protein which has conditioning, moisturising and detangling properties to make the hair look shinier and feel softer. 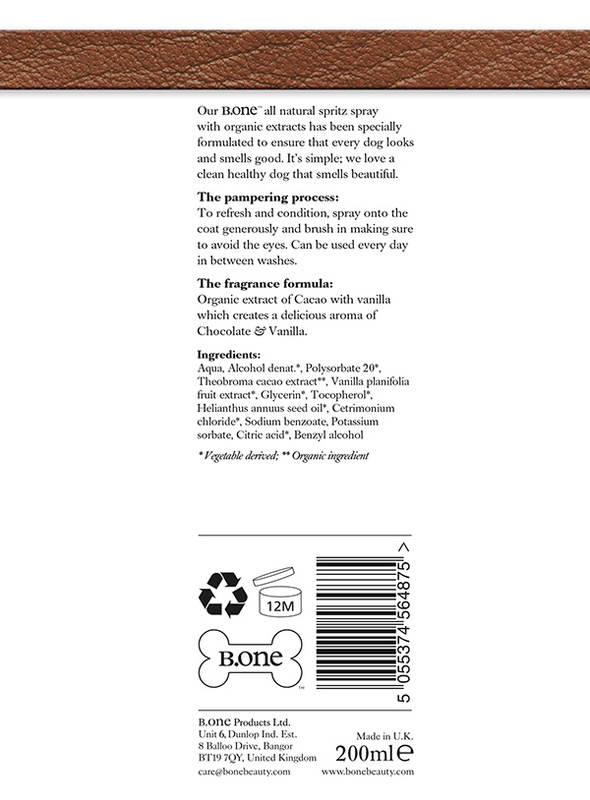 Vanilla extract will protect the skin from environmental, internal and external forces that can cause irritation or damage to the skin. 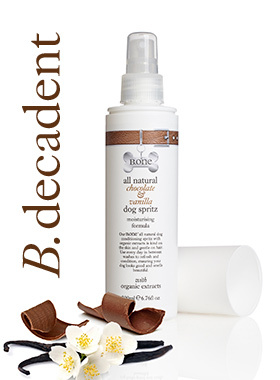 Our gentle spritz formula can be used every day in between washes or as a decadent finishing touch to your groom after each wash, ensuring your dog looks good and smells beautiful.